As a young lad, I never had enough tackle or fishing gear to warrant a fishing backpack or tackle bag. My complete kit consisted of a rod, reel and a few hooks. No fancy lures, leaders, different types of reels, net or even a decent fishing pliers. Roll forward 30 odd years and a lot has changed. Do I need all this gear to catch a fish? Nope, but at least it’s organised now and easy to find. 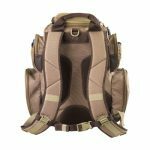 If I was asked what do I consider to be the best fishing backpack out there I would automatically say one of the Wild River Backpacks. 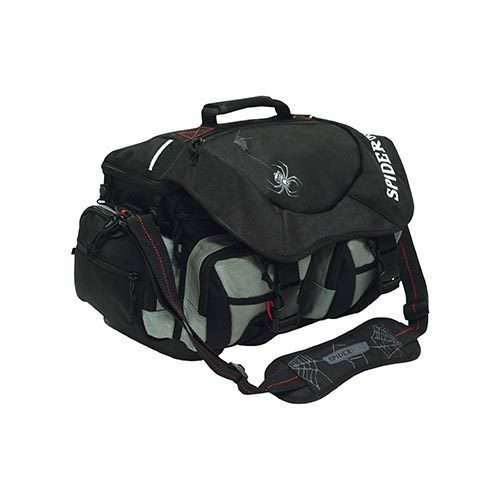 Superb quality tackle bag with a great range of options. 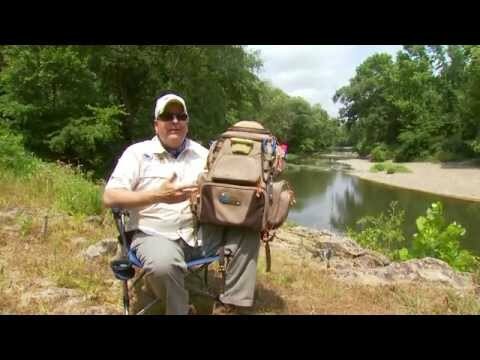 My go to bag is the Tackle Tek Nomad all in one fishing backpack. This really is a superb pack. 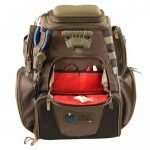 When it comes to design they have thought of everything – obviously designed by people who fish all the time because it never ceases to amaze me the number of options and uses I still find when using this bag. ✅ LED light built into the bag. This is a superb idea, especially if you are fishing at night. ✅ Fold down work area – Couple this with the LED light and you have a nice clean handy work surface to tie on lures, tweak hooks or adjust your setup. ✅ Removable plier holder – This is a great option. Store your pliers on your backpack and then clip the holder onto your belt when it comes time to fish. No more fumbling in pockets when you want to unhook a fish and get the safely back into the water. ✅ External and internal mesh pockets – Mesh is always a good idea for fishing bags. 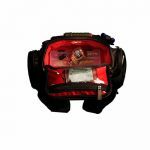 It lets the air circulate around your kit and helps dry things off. Plus you can see what is in each pocket without having to open it. ✅ Additional storage pockets to hold trays. 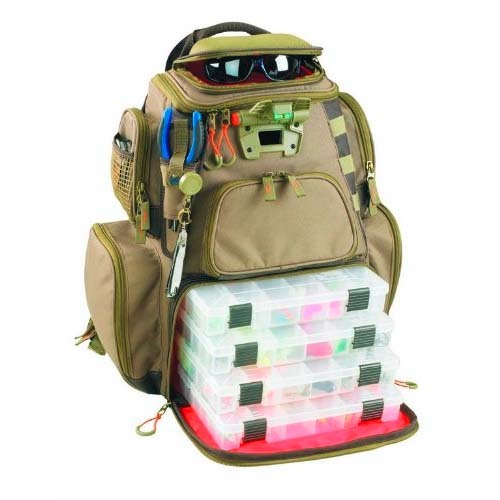 There is enough room in this fishing backpack for everything you can think of. It uses 3600 trays which are pretty much the standard now. 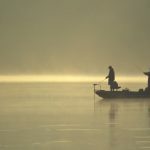 I have trays loaded up with tackle and a selection of bass lures, trout lures or fishing hooks that I switch around, depending on the fish I am targeting. ✅ Large adjustable padded shoulder straps and added sternum strap. 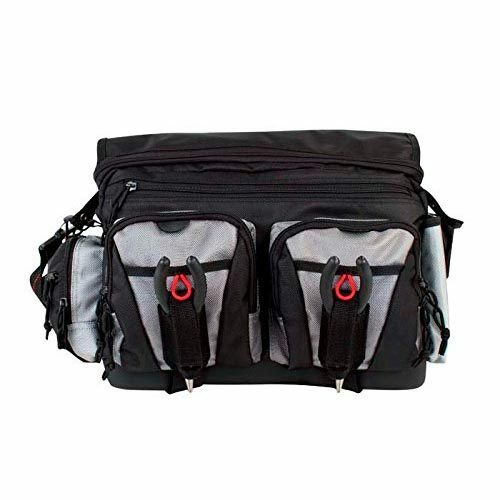 If you trek into hard to reach fishing areas then you will appreciate the comfort of this bag. ✅ Web loops to secure tools – The are plenty of loops and areas to clip on to with this bag. I have yet to find enough gear to use them all up. ✅ Protective rain cover. This is a handy option that comes with the bag. Great if the weather turns on you while you are out. Keeps everything nice and dry. ✅ Permanently mounted moulded sunglass holder. If you break as many pairs of sunglasses as I do because they are let lying about you will appreciate this option. My fishing sunnies just stay in the bag now when they are not on my head. Would I buy another one of these fishing packs? Absolutely and I’m sure I’ll need one soon enough. Would I recommend one to my best friends? I do all the time. We are gathering up a nice collection of Nomads at this stage. If you find the Wild River pack a bit out of your price range then another Tackle Bag we would recommend is the Spiderwire Wolf. 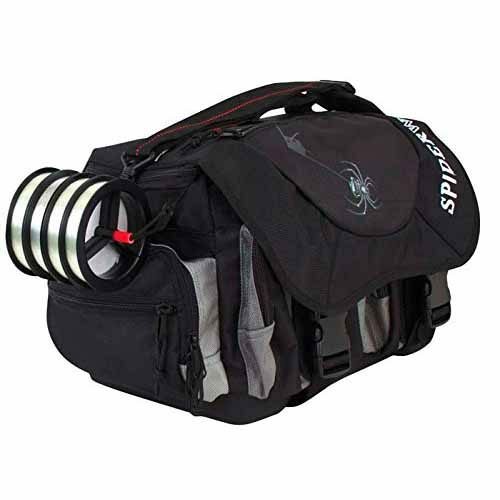 We would consider this the best value fishing tackle bag on the market at this time. We have been fans of Spiderwire ever since they launched their Braided fishing line (see our guide here). They make quality gear and this bag is no exception. 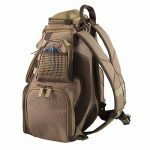 It is huge and has enough room to store all your fishing gear and still leave room for lunch if you don’t catch anything. 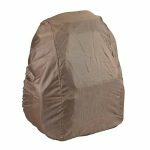 The bag itself is made from durable polyester and can take a serious beating. It does tend to get a bit dirty now and again – wouldn’t you if you were lying about on the riverbank all day… Empty the bag out, hit it with the hose and let it dry and it’s as good as new. 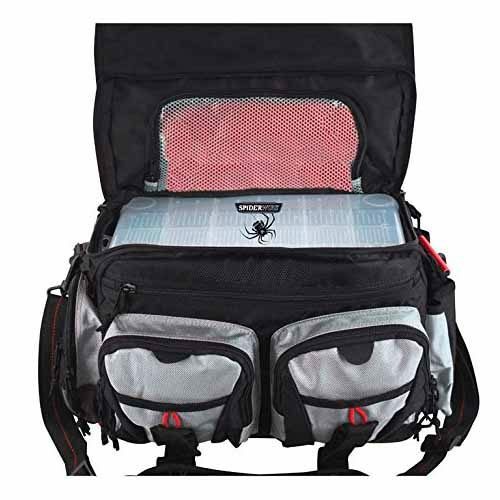 The bag itself has plenty of storage space and comes with compartmentalised storage areas with plenty of room for all your lures and line etc.. There are two pliers holders. Handy of you use both a short nose and a pointy fishing pliers when out and about. One nice feature of this bag is the plastic moulded bottom. This will hep to keep you bag dry if it’s sitting on a damp riverbank. Some bags I’ve used in the past soaked up water like a wick so this is a plus for me. Plus I’m going to have my phone and keys in there somewhere so don’t want them getting wet either. While it does come with storage boxes for most gear, you may struggle if you are fishing with very big lures as they may not fit into the boxes. There are plenty of other storage pockets though so you should be fine. 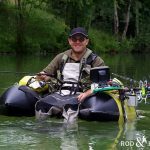 I have yet to find any serious faults with the Spirderwire Fishing Backpack and would have no issues recommending it to anybody looking for a great value fishing bag. Light and durable with plenty of room for everything you can think of. If you are happy with your Tackle Bag then you might just want to get yourself a few additional lure holders or gear trays for your backpack. Another great option is to go for a rigid fishing tackle box. 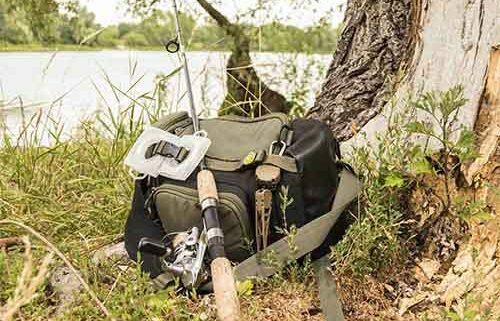 Plano is one of the best names out there when it comes to fishing tackle gear and holders so let’s have a look at their top three fishing tackle boxes and see if there is one to suit your needs. We use tackle boxes when we are fishing in the same location or on a boat where we are not hiking through the bush to get to out favorite swim. We would be interested to hear your thoughts in the comments below.